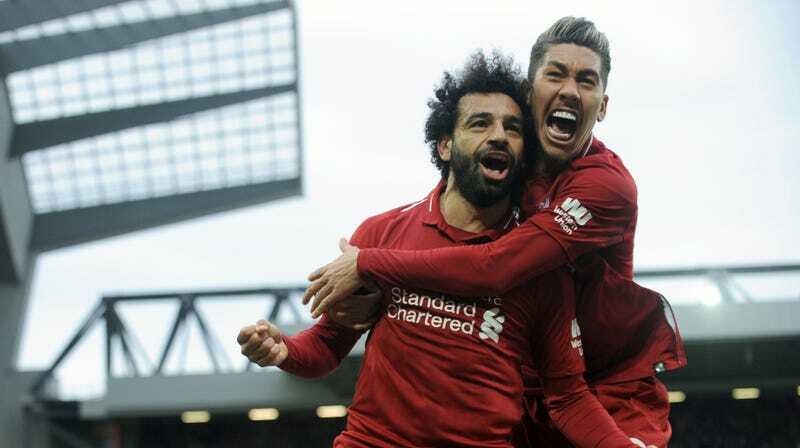 Liverpool got a humongous two points in the title race on Sunday when what looked like a 1-1 draw with Tottenham suddenly turned into a 2-1 win off a late own goal from Spurs defender Toby Alderweireld. In the 90th minute, Mo Salah fired a header at Hugo Lloris off a long ball into the box. Lloris awkwardly parried the ball and knocked it right to the feet of Alderweireld, who could do nothing to stop it from bouncing off his boots and into the net. The disaster in the Spurs’ defense now puts Liverpool two points up on Manchester City with one extra game played. Sometimes, you gotta make your own luck.